The Leisure & Entertainment industry has been witnessing an impressive rise for many years with the increase in global transport facilities and rise in living standards globally. If you are a marketer looking to explore business opportunities in this sector, Blue Mail Media’s Leisure & Entertainment Industry Email List can be the perfect strategic resource for your sales and marketing cadre. 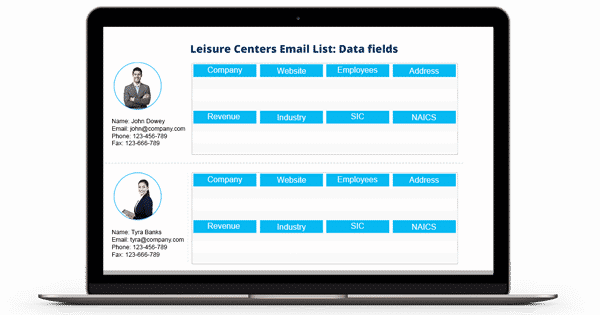 Our comprehensive and reliable database gives you complete access to marketing information to connect with your target audience via telephone, email or mail. We have a well established presence across multiple regions such as the US, UK, Canada, North America, New Zealand, Australia, Europe, Russia, China, India amongst others. This enables us to provide you local data with a global flavour. Whether you are looking for opportunities around sports and recreation facilities, hotels, health & fitness facilities, tourist attractions, swimming pools, holiday parks or others, Blue Mail Media’s Leisure and Entertainment Industry Email List can significantly shore up your marketing initiatives. Blue Mail Media not only offers you pre-packaged mailing list of leisure and entertainment industry executives, but also gives you the option to get your list customized based on your marketing specific objectives. Our team of data specialists, marketers and professionals put immense efforts in collecting data from reliable sources, verifying data for accuracy and updating the same on a constant basis to maintain data quality at all times. Blue Mail Media gives you enough flexibility to either choose from our pre-packaged Leisure and Entertainment Email List or get a customized list created as per your campaign specific requirements. With our data, you are sure to realize greater response rate, conversions and a healthy ROI.